While your graduate is the star of the party, let them shine by providing fun, creative and delicious foods for their graduation party. Having an impressive spread doesn't have to mean sacrificing quality. Plus, you'll be busy setting up party activities to keep your grad and their friends busy. Here are six simple recipes for you that will impress your guests and make your grad feel loved, liked and grateful (well, we hope so, anyway). Create a simple meat, cheese, olives and bread platter. Add creativity by rolling the meats and cheeses and tying each with a scallion to create a diploma. For each diploma, stack a slice of sandwich meat on a slice of cheese. Roll them up and tie each diploma with a scallion. Place apricots in a food processor. Cover and process until finely chopped. Add the ricotta cheese, brown sugar, orange peel and salt; cover and process until blended. Stuff or pipe into celery. Chill until serving. Yield: about 2 dozen. In a small bowl, combine the oil, honey, 1 tablespoon vinegar, oregano and garlic powder. Pour 3 tablespoons marinade into a large resealable plastic bag; add the vegetables. Seal bag and turn to coat; refrigerate for 1 1/2 hours. Cover and refrigerate remaining marinade. Place vegetables on a grilling grid. Transfer to grill rack. Grill, covered, over medium heat for 4-6 minutes on each side or until crisp-tender. Transfer to a large serving platter. Combine reserved marinade and remaining vinegar; drizzle over vegetables. Sprinkle with pepper and salt. Editor's Note: If you do not have a grilling grid, use a disposable foil pan. Poke holes in the bottom of the pan with a meat fork to allow liquid to drain. Mix all meats, panko, 1/2 cup water, 6 tablespoons cheese, egg, egg yolk, 1/4 cup parsley, 1 teaspoon salt, and 1/2 teaspoon black pepper in large bowl. Form into eighteen 2-inch-meatballs. Heat vegetable oil in large skillet over medium-high heat. Working in batches, fry meatballs until brown all over. Transfer to plate. Pour off drippings from skillet. Reduce heat to medium. Add olive oil to skillet. Add onion, garlic, basil, and fennel seeds. Sauté until onion begins to brown, about 5 minutes. Add all tomatoes with juices. Bring to boil, scraping up browned bits. Reduce heat to low, cover with lid slightly ajar, and simmer, stirring occasionally, about 30 minutes. Puree sauce in processor until almost smooth. Return to same skillet. Add meatballs. Cover with lid slightly ajar and simmer until meatballs are cooked through, stirring occasionally, about 30 minutes longer. DO AHEAD: Can be made 1 day ahead. Cover; chill. Place arugula leaves on bottom of each roll, if desired. Top each with 1 meatball. Drizzle meatballs with some of sauce and sprinkle with remaining 2 tablespoons parsley and 2 tablespoons. cheese. Cover with tops of rolls. These potato appetizers can be made in advance and stored in the refrigerator until they're ready to be served. In a medium-sized saucepan, bring 2 quarts of water to a boil. Clean potatoes, then add potatoes (with skins) to water. Reduce to a gentle boil and cook for 15-20 minutes or until tender (but not mushy) when pierced gently with tines of a fork. Once cooked, drain in a colander and allow to cool. In a medium mixing bowl, combine bacon pieces and peas. Set aside. In a separate medium mixing bowl, whisk together red wine vinegar, Dijon mustard and black pepper. Gradually whisk in olive oil until mixture forms a smooth and thickened consistency. Stir in parsley and mint. Set aside. Using a small sharp knife (such as a paring knife), cut a sliver off the end of each potato so it can stand up on the flat end. Discard cut-off pieces. Cut off the other end of each potato and discard. (Tip: Wiping your knife clean with a wet paper towel between cuts will allow the knife to make smoother cuts.) Using a small melon baller or 1/4 teaspoon rounded measuring spoon, carefully scoop out the centers of each potato (Tip: Periodically wipe melon baller or measuring spoon clean with a wet paper towel and rub a small amount of olive oil on the melon baller or measuring teaspoon as needed to make scooping easier.) Dice scooped out potato meat into 1/4-inch pieces. Add diced potato to bacon and peas and toss gently to combine. Pour dressing over potato, bacon and pea mixture and gently toss to thoroughly combine. Set aside adn allow to sit for about 1 hour. Carefully stuff hallowed potatoes with potato salad mixture. Serve immediately or store in refrigerator in an air-tight container and serve later. Any leftover potato salad can be eaten on its own. The hot thing right now is Ombre cakes and desserts, says Jillian Tohber Leslie of CatchMyParty. Ombre means having colors or tones that shade into each other. Usually the color is graduated from light to dark. Ombre cakes are ideal for graduation as the "graduating" colors make for a great visual representation of change and a natural progression. It’s quite symbolic and may have your guests sobbing in their plates. Create one using the primary school color or layer every other layer with school colors. For instance, for college graduation at UCLA the layers could be white, yellow, blue. ***Note you will need a cooking scale for this recipe. I tried to translate into cups, but it just wasn't exact. 2. In a medium bowl whisk together egg whites, milk, vanilla, and lemon zest. 3. In a larger bowl whisk together flour, sugar, baking powder, salt, and butter. 4. Pour one third of milk mix into flour mix and blend together with mixer on low speed until smooth. Repeat 2 more times. 5. Divide cake batter into 4 bowls. Leave the first bowl white. In the second bowl add the sky blue food coloring, the third bowl add the aqua food coloring, the fourth bowl add the royal blue food coloring. Stir each bowl very well, to insure that food coloring is well blended and evenly distributed. 6. You can either use four or two 9 inch round cake pans. Spray each cake pan VERY well with cooking spray. If you are using four pans, pour each color into a pan. If you are using two, pour the 2 of the colors into the pans. 7. Bake 2 pans at a time for 20 minutes. When done, make sure that a cake tester comes out clean, but make sure the edges are not browning too much. 8. Let cakes cool in pan for 10 minutes. Once semi cool, place on cooling racks. Allow to cool completely. 9. If using 4 pans, go ahead and put in the sky blue and white. Bake 20 minutes. If using two, let the cakes cool, and then wash pans, so that you can re-use the pans. Pour sky blue and white into pans and bake for another 20 minutes. Repeat process for first two cakes. 10. Once cakes are completely cool, place the royal blue cake on a cake stand or plate, and frost with a generous layer of lemon curd. Repeat the process for each cake in this order: aqua, sky blue & white. Frost the top white layer with a generous layer of lemon curd and top with blueberries. Note: Sorry US readers, I didn't have time to measure the ingredients in cups so I could convert the measurements for you, you'll have to convert it yourself or use some kitchen scales for this one! Thanks to Reanna for posting the US conversions for the recipe in the comments below, you can see them here. Preheat oven to 180°C (350°F) and grease whatever 18cm round cake tins you have (I only had one so I had to bake each cake one after the other). If you only have 20cm cake tins I'd recommend splitting the batter into only 4 layers instead of 5. Line the base of tins with baking paper and grease paper and dust tins with flour. Combine flour, baking powder and salt in a medium bowl and set aside. Mix milk and vanilla together in a measuring jug. Get the full recipe. Congrats to your graduate! May these delicious recipes make for a graduation feast they will never forget. Have you tried any of these recipes or have some suggestions? Leave a comment below or visit us on Facebook or Twitter. 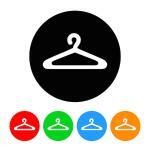 [Tech Tuesday] Solve Your Coat Check Problem - Digitally!